What kind of office space will the workers of the next decade need? That’s the question that The Future of the Workplace sets out to answer. 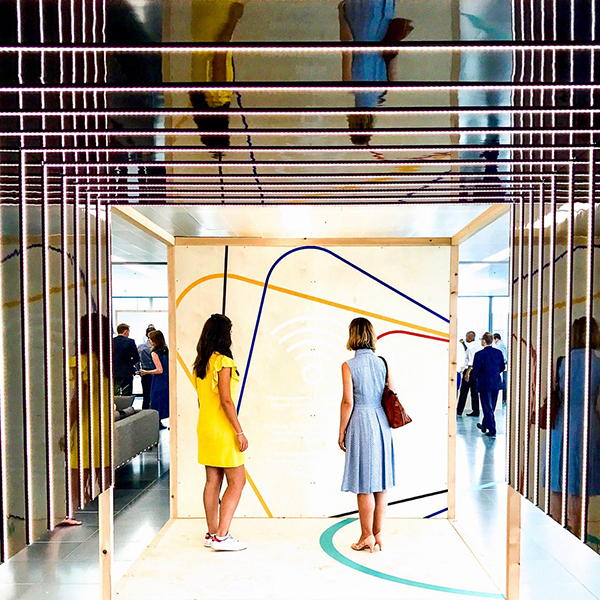 The report, commissioned by architects MoreySmith and produced by The Future Laboratory, is effectively a manifesto for a form of human-centric design that will “[enable] tomorrow’s workforce to build more meaningful relationships with one another and with the businesses they work for”. The Optimised Self – the advent of wearable fitness devices has enabled workers to track and analyse their daily routines, emotions and productivity. These wearables, when integrated with apps and smart office technology, can help to determine, and then set, the optimum conditions for peak performance. The Flat Age Economy – as more and more people work longer we are seeing the emergence of the Five Generation (5G) workplace, in which seventysomethings co-exist with twentysomethings and every age group in between. Each generation has much to teach the others, and the workspace needs to facilitate learning, mentoring and collaboration. The Focus Filter – digital distraction in the office is a growing problem, but one that can be solved by workplace design, technology, furniture and sensory elements that enable workers to achieve greater focus while they work. “Imagine a workplace that monitors your blood sugar levels and heart rate for signs of hunger and exhaustion, a space that oxygenates and perfectly chills the air around your desk to counteract any chance of an afternoon slump.” So begins the description of the ‘sentient workspace’ that will counteract the health issues and stress that can have such a negative effect on workers. The sentient workspace will be based on smart devices that communicate with each other, enabling it to understand employees’ routines and personalise their working environment. The data collected will also improve the building’s efficiency and make the workplace more sustainable. Other elements of the sentient workspace that are discussed include biophilic design – integrated green walls or densely planted areas – and technology-free ‘analogue areas’. 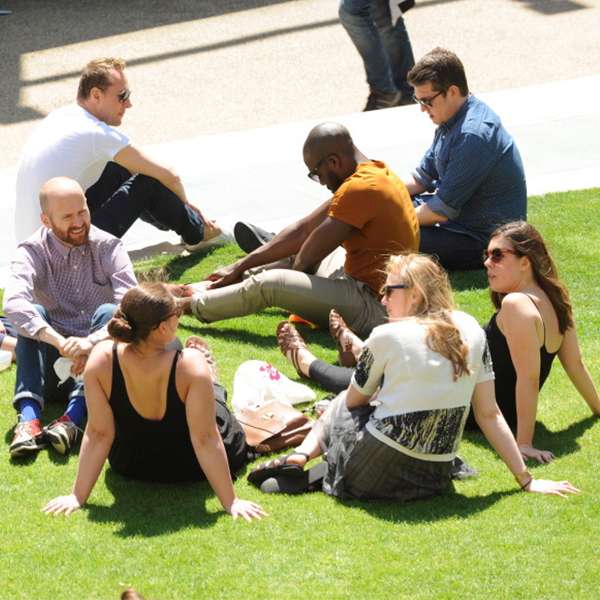 Overall, the vision is for a workspace that is so beneficial to employee wellbeing that it leaves them “feeling healthier, cared for and more energetic at the end of the working day than the start”. Taking the contemporary idea of the office campus a step further, the ‘hospitality workspace’ is “a place where work, rest and play are combined under one roof, forming convenient destinations and innovative communities that will attract the globalised, footloose workforce of the late 2020s”. 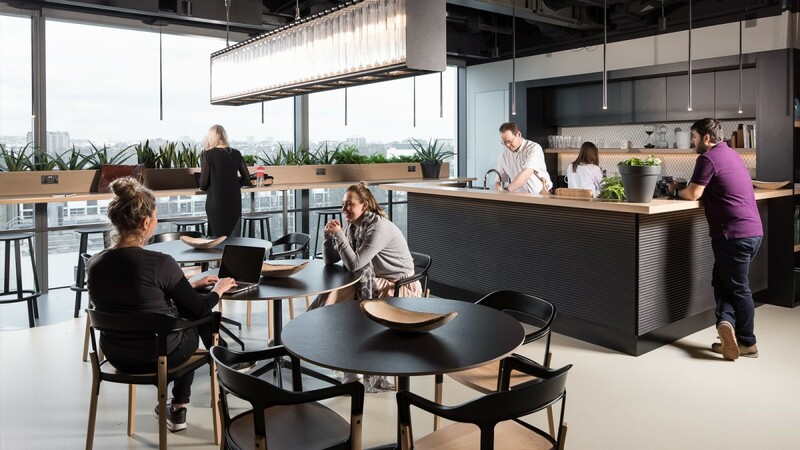 In this vision – an evolution of today’s co-working spaces with their cafés, open areas and shared facilities – younger workers in particular will literally live at the office, which takes on the additional functions of hotel, sports club and restaurant. It’s designed to enable workers to enjoy rich and varied lives in one place. To cater for the 5G workforce, the ‘flat age workspace’ will feature a variety of environments designed to encourage knowledge-sharing and learning. The report suggests that these will include “Mentor Pods, where young and old workers can work together on problems or skills development without being disturbed”. At the same time, these pods could also provide a refuge for individual, focused work for those who need it. A key element of this model is the use of augmented reality and virtual reality technology to inspire collaborative, focused work and enable people to plug into virtual classrooms or project discussions. Click here to download The Future of the Workplace.